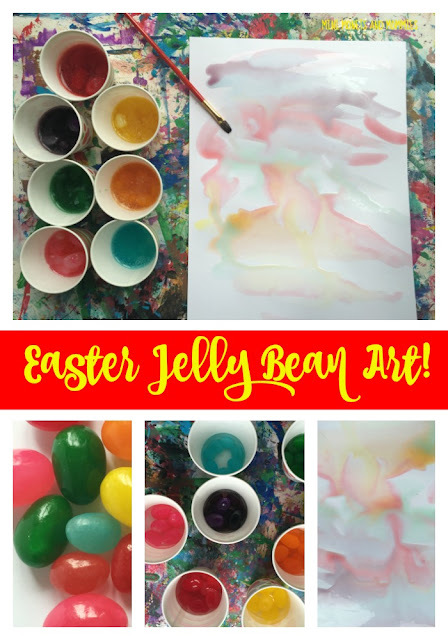 Jelly beans are more than tasty Easter candy treats for your kids! Admittedly, I enjoy candy much more than my son. Not that he doesn’t eat it, but when we pop open a bag of jelly beans it’s me who is eating the majority of it. That said, this time I decided to use the candy for a water color paint project (instead of letting it go to my hips). 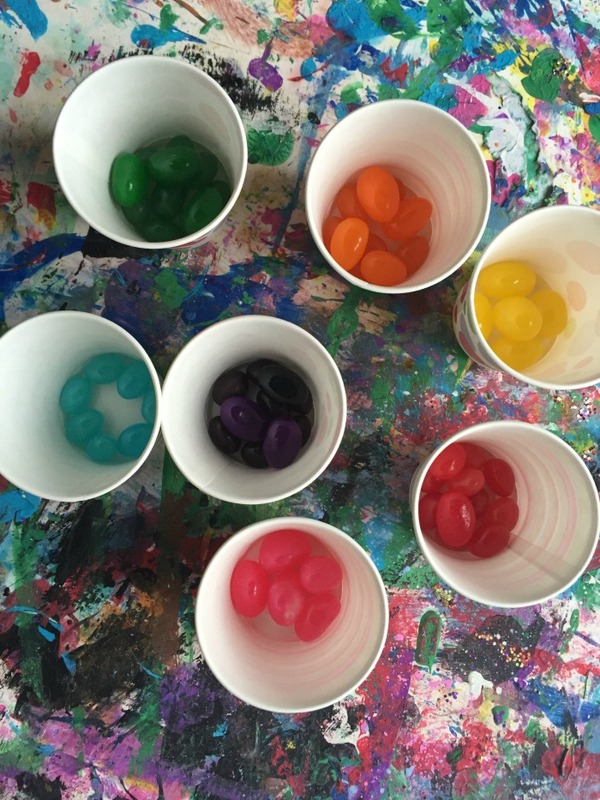 · What do you think will happen to the jelly beans when we add them to water? · Why do you think that will happen? · What do you think jelly beans are made from? · How do you think we are going to paint with jelly beans? As you go along with the activity, keeping the questions coming. For example, “What’s in the water?” (the waxy coating on the jelly beans comes off in the water) or, “Why are the jelly beans turning white?” You can also study the make-up of the beans beforehand. There are a few different types of jelly bean-making processes (one of them includes beetle byproducts!). 1. Separate the jelly beans into colors. This is a great way to get your child into a sorting activity and build basic math skills. Have her count the beans as she puts like colors into each cup. 2. Add a few tablespoons of very warm tap water. Don’t use burning hot water, and always supervise your child. Don’t let her touch the water if it’s too hot. 3. Wait and watch what happens! Your child can also mix more than one color of jelly beans into each section of the cupcake tin. For example, blue and yellow beans melt to turn green. 4. Paint the jelly bean water colors onto the paper. As the beans sit in the water, the color releases. 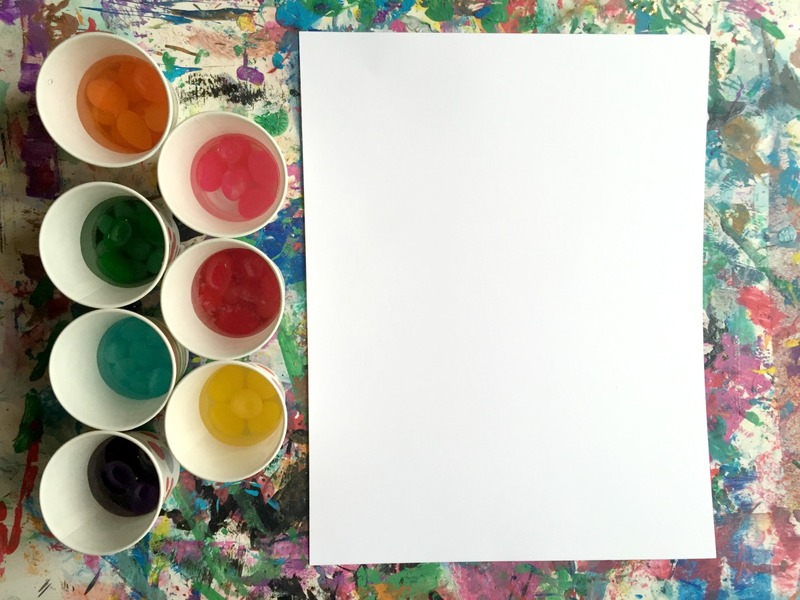 Make an Easter egg, a spring flower or a piece of abstract art. 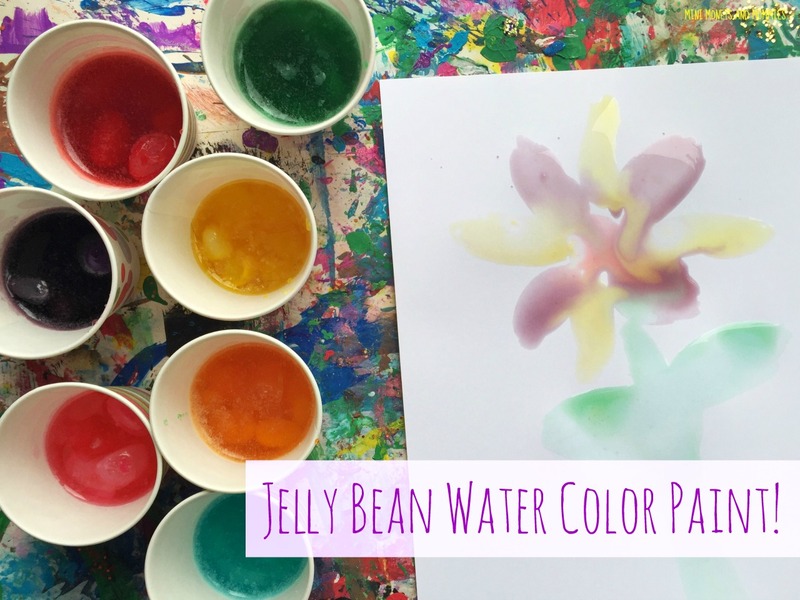 Are you looking for more Easter arts and crafts for kids? Follow my Pinterest board for ideas! Follow 's board Easter Crafts for Kids on Pinterest. This is fun! I'm always looking for edible art ideas. Hopping over from the KBN. Very cute - and I love that it incorporates math and science with art! Saying hello from We Love Weekends - I will be joining as a host next weekend, and hope you'll be back to share more great content! 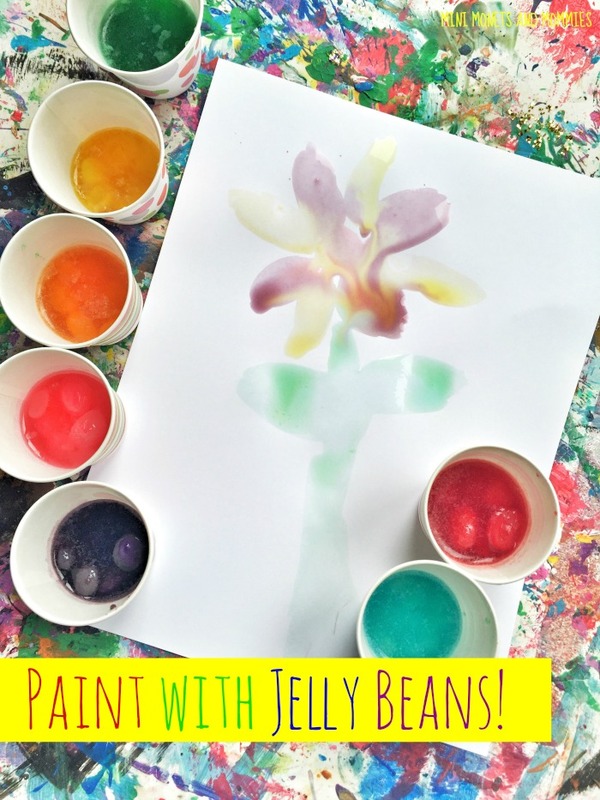 What a great way to use jelly beans! Fun idea. Thanks for linking up! You've been featured on this week's #WeLoveWeekends at PlaygroundParkbench! I hope you will be back to share with us again.